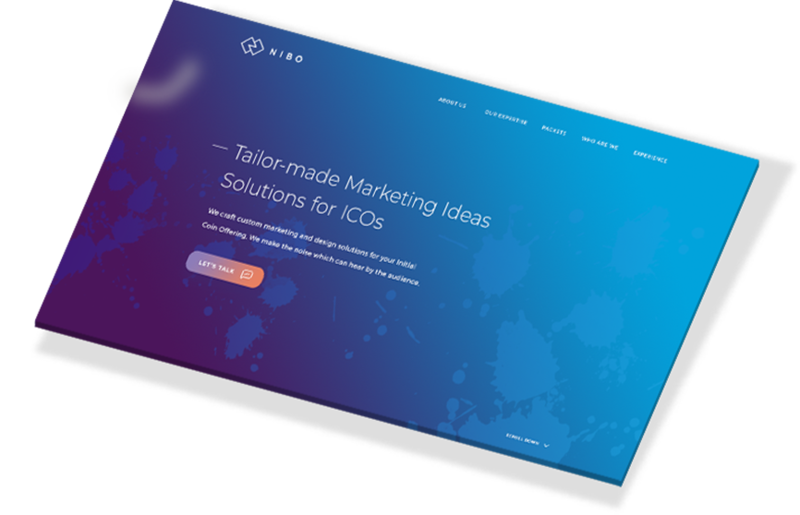 NIBO is a website for ICO marketing and solutions. The concept behind the design is sleek and modern, in track with the technologies. Responsive design is beyond important, it is mandatory. 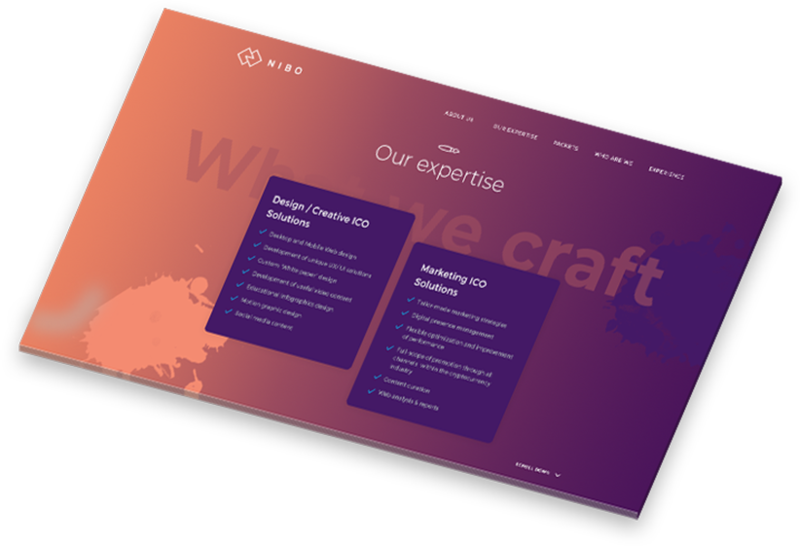 Never forget that the user surfs the internet on mobile even more than desktop and we want NIBO to be wth you everywhere you go. Inspired by the digital world we created a sleek and modern logo, that goes very well with the client’s profile.